Live Right Personal Training offers personal and group training. 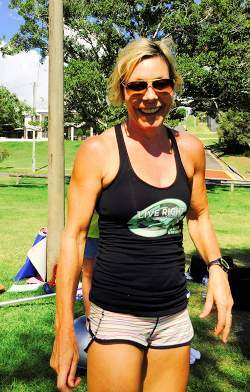 Live Right Personal Training is owned and run by Catherine Sheather. It is an indoor and outdoor based training service, helping all ages reach their health and fitness goals. The home based gym is in the centre of Manly and is full equipped with everything you need to reach your goals with no membership fees, in a private and friendly atmosphere. The training styles are varied, strength and high intensity which includes Tabata and Metafit. Boxing and Kettlebell training are also included.